The building of the baroque style chapel was initiated by curate Pots in 1696, in order to replace the medieval place of worship. The chapel is dedicated to Saint Willibrordus, patron saint of nervous diseases, and Saint Marculphus. Around 1840 the chapel formed the customs line. The customs officers made sure that all passing cattle was branded and that every bolt of cloth that was produced in Ezaart and dyed in Mol was marked as such. After World War II the chapel served as a classroom. 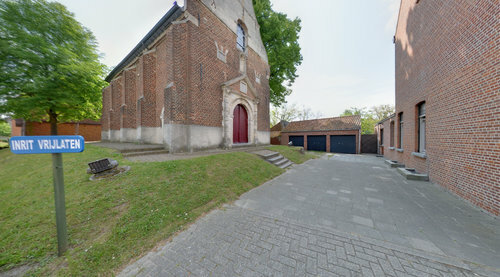 The non-profit organisation Friends of the Sint-Willibrorduskapel and the town council make the chapel with its wonderful acoustic available for community use. It regularly hosts small-scale cultural activities, such as exhibitions, concerts and lectures.